The goal of this article is to help those who need clarification to determine whether they have encountered a soul mate or a twin flame. If this sounds like you, you are likely feeling overwhelmed and excited by this intense bond and conducting extensive research on what is happening to you. There are many articles regarding twins and soul mates, so some of this information may be familiar to you. However, there are few that discuss the nuanced differences between a soul mate encounter and one with a twin flame. Both experiences are profound and vital to our growth as beings, but they are inherently different. This article intends to address the additional pieces to help you distinguish between the two types of soul connections on your journey. As with all advice, it is essential to trust your own internal guidance and follow your soul. Take what information rings as true for you and consciously contemplate the rest; sometimes information will process over time and resonate for you in divine timing. Before we go into the details, let us level set the terms twin flame/soul mate as they are used for the purposes of this article. The term soul mate is likely something you are familiar with. This notion has been romanticized throughout the ages and is often used to refer to an ideal romantic partner. This is not necessarily the case. A soul mate is a soul which resonates closely with your own frequency, but not identically. A soul mate will feel familiar to you, like an old friend or relative. An individual can have many soul mates. In fact, you likely have many soul mates within your life now. Out of all of the souls in existence, there is only one other soul that has an identical frequency to you. This energetic match is your twin flame (sometimes referred to as a sacred or divine partner) and is a connection unlike any other. While there are many individuals we encounter in our lifetime which have a near perfect match (commonly referred to as soul mates), only a select few will encounter their true twin flame while incarnated. You and your twin flame were created together at the dawn of time. The inexplicable bond between two twins transcends the limitations of space and time and can never be broken. Many of the signs and synchronicities one encounters with a soul mate can be seen with a twin flame as well. As a result of these similarities, many individuals become confused as to whether or not they have encountered a twin flame or a soul mate connection. One of the most important factors in differentiating between the two experiences is intensity. The compelling energetic bond that is shared between twin flames will be intrinsically stronger, marked with a greater sense of urgency and primal need than a soul mate connection. Keeping this fact in mind will assist you as you navigate the information regarding soul mates and twins, as there is some overlap. Singled Out – When encountering a soul mate, especially within a group setting, you may notice yourself unconsciously more aware of this individual over others. The draw to them can vary depending on circumstances, but there will likely be an uncanny feeling that you need to pay extra attention to this individual. Familiarity – If you encounter an individual with whom you share a strong, familiar bond, you’ve likely encountered a soul mate, especially if you felt that bond immediately upon meeting. This often manifests as a sense of comfort or an instant desire to become friends. This familiar feeling will cause you to be bolder in pursuing a connection with a person, often acting against natural character. Charged Interactions – You may get the sense that the energy around you and another individual is charged. There is often a palpable chemistry between soul mates. This isn’t always a positive sensation. You may have an initial aversion, fear, or reticence when faced with this energy. This often reflects the nature of the type of soul mate bond you share with this particular individual. Depending on the lessons that are needed at that time for the pair, the soul mate relationship can be pleasant or tumultuous. Immediate Circle – Nearly everyone in their life will encounter a soul mate connection. The energy of a soul mate bond should reflect a similar intensity to those you feel closest to, such as a very close friend or family member whom you feel especially bonded with. These closest bonds will likely be soul mate connections. Additionally, the majority of happy marriages and love relationships are soul mate connections. This is likely why the term soul mate has come to carry a romantic connotation. A connection between soul mates is arranged prior to incarnation in order to help further the growth of both individuals. Mind Reading – You may find yourself accidentally in the mind of another person; perhaps they are tuned into you! Soul mates are often so energetically similar that they may engage in thought exchange, or telepathy. This may manifest as them saying what you were thinking or calling/texting you as you are reaching out to them. Relationship Focus – Soul mate bonds are relationship focused. The two of you are together to help support and foster growth within each other. The communication style and skill set between soul mates will be complimentary. This helps foster stable interpersonal growth. Unusual Circumstance – Rarely do we meet our twin flames through everyday situations. Most twin flames meet in scenarios they wouldn’t normally find themselves in. Many find a series of serendipitous chances lead them face-to-face with their twin flame. These encounters are based upon being in the right place at the right time. No One Else – This is similar to the Singled Out feeling with a soul mate, but to an increased degree. Twins feel a deep and overwhelming sensation of home with one another, which exceeds beyond the comfort of even your closest friends and family. If you encounter your twin in person, you will likely cease to be aware of everyone and everything around you. Experiencing tunnel vision is common. This sensation is usually present throughout all interactions with a twin flame, not just upon initial meeting. Digital and phone interactions may cause a similar effect too, though generally not to the same level. Physical Symptoms – Many twins find themselves hit with a series of intense, and shocking, physical symptoms upon meeting their twin flame. These symptoms are often exacerbated by proximity. Such symptoms include, but are not limited to: dizziness/vertigo, heart palpitations, loss of appetite, increased adrenaline, and frisson. Many of these symptoms will reduce over time as you become accustomed to interacting regularly and being in one another’s physical presence. Mirroring and Triggering – A twin flame is a perfect reflection of your soul essence and allows you to accurately see your greatest strengths and weaknesses as exhibited by the other. They are your perfect divine mirror. Your twin will interact with you in ways that will force you to see areas of yourself you are otherwise blind to. This process can be affronting. This is only as difficult or as rewarding as you make it; how this makes you feel is all dependent upon your ability to reflect on your ego and wounds without resistance. You and your twin flame will see the same core wounds and themes mirrored throughout your lives. Polarity – Twin flames operate in the realm of polarity. Where one twin is weak, the other will be strong, and vice versa. This creates an opposites attract dynamic between the pairing. Often one person will be very spiritual while the other is more practically focused. This polarity helps to balance both souls as they come together. 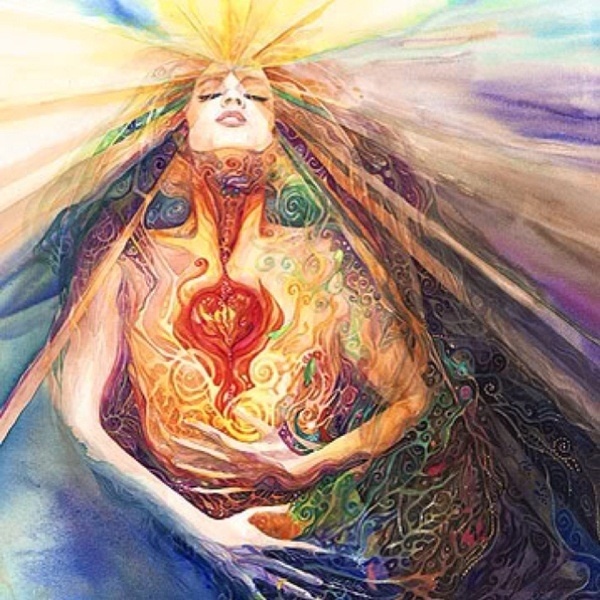 Spiritualism – As a result of this deep and vulnerable connection, you will feel called to grow spiritually and transform upon discovering your twin flame counterpart with breathtaking speed and intensity. While twin flames will likely feel a romantic pull towards one another, the spiritual foundation of the bond is the underlying theme of this rare connection. You will be changed for the better as a result of this link, guaranteed. Psychic Phenomena and Synchronicities – Some may even call this magic. You may experience supernatural manifestations when you interact with your twin. For many, their first psychic experiences will occur as a result of meeting their twin flame. Examples of such occurrences include, but are not limited to: dreaming about your twin before you meet, sharing nearly identical experiences prior to meeting, clairvoyant visions of their soul within their eyes and/or the connecting cord between your hearts, blatant and otherwise unexplainable telepathy, feeling what your twin feels remotely without worldly knowledge, shared dreams, hearing their voice in meditation, repeat number sequences (e.g. 1111, 717, twin’s birth date, etc. ), and seeing and hearing their name in unexpected places. Mission – You may have an urge to develop a love based relationship with a twin flame. That being said, twin flame relationships are marked with a sense of profound, sacred importance. When you meet and interact with your twin flame, you feel a deep and underlying sense of purpose. You know that you were both brought together not only to learn and develop personally, but to usher greatness into the world as a team. 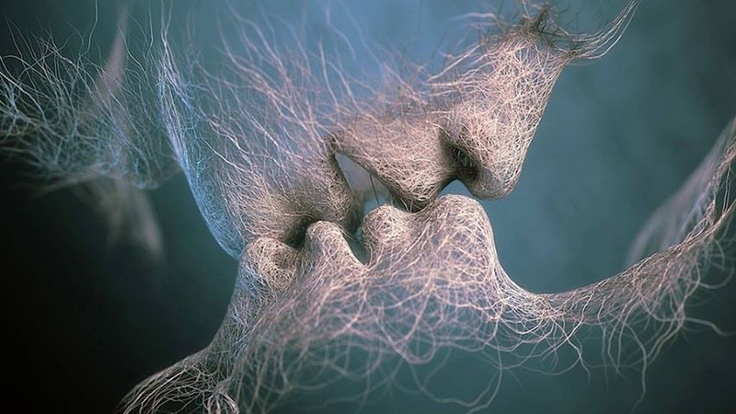 Magnetism – You and your twin flame are drawn together with intense force. Regardless of whether your twin flame is your usual type, you find yourself unable to escape the lure of this deep connection. Physically you will find them irresistible to be around, longing to be as close to them as possible. Many twins may become overwhelmed by this feeling and try to avoid the relationship. Much like a taunt rubber band, twins can only go so far apart before the consistent effort needed to stay away grows tiresome and they snap back together as quickly as they left. Unconditional Love – The most important and beautiful part of a true twin flame pairing is the immediate and immeasurable sensation of tenderness and love. Twins exhibit a full knowing and love of each other’s souls upon meeting, regardless of their level of interaction and understanding on Earth. Deep within them, they will each recognize the sacred and holy nature of the union, realizing it is a connection outside the purview of time and space, based upon true freedom, respect, and reverence. This will often lead the unhealed twins to almost worship their counterpart and place them upon a pedestal as they tackle and heal their feelings of self-worth. As the pair heals the wounds between them, they will soon realize the brilliance they each bring to the relationship. Healed love between twins truly is without conditions; your love for your twin will be pure and all-consuming regardless of how the relationship manifests between you. This is a love free from all expectation. A twin flame union exudes unconditional love to rival fairy tales; witnessing the true love between twin flames is a blessing not just for the pairing, but an ultimate gift to the world. The best thing you can do if you’re still having difficulties discerning what type of soul connection you’ve encountered is meditate. The answers to our deepest questions lie within our own soul. Often we know the answer but we seek worldly validation to align with what we want instead of the truth. Praying for guidance and clearing your energy can help you quiet your mind and allow the voice of your soul to speak with greater clarity and volume. Please understand – a twin flame isn’t better than a soul mate, or vice versa. These experiences are equally valuable and important. Most people aren’t called to a twin flame relationship, just like not every spiritual person is called into spiritual service. If you read this and feel you identify more with the soul mate list than a twin flame, that reveals that this bond was brought to you to help grow through a relationship with another. Most of the greatest examples of balanced and peaceful relationships occur between soul mates. Conversely, if you feel that the label of twin flame aligns more with what you’ve experienced, take this as an opportunity to start focusing on your spiritual mission and purpose. Uplifting ourselves through self-work, personal passion, and missioned based service is the healing solution to entering into (and maintaining) union with your twin flame.